Many of the communities in the J.C. Hart apartment portfolio include development or investment partners. We to look to build even more relationships as we look to grow our portfolio and 3rd party management operations. In Carmel, IN, J.C. Hart Company was selected to manage Old Town's Sunrise on the Monon Apartments community, and the companies are partnering on the Midtown Flats project on the Monon Trail. 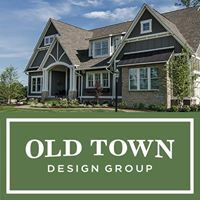 Old Town Design Group builds custom homes in the Carmel, Westfield, and Zionsville areas, and has multi-use developments and nursing homes in Carmel. J.C. Hart has partnered with Stongbox Commercial on our Penrose on Mass project. StrongBox Commercial is a full service real estate development & construction management company that specializes in all types of developments & commercial construction. It's principals, Paul Kite, Martin Shrader, and George Somers have collectively been responsible for over $600,000,000 of commercial construction and real estate development projects since entering the real estate business in 1985. Their development projects are wide-ranging, including work in aviation, office, retail, industrial and warehousing, data centers, and laboratory facilities. Lakeside of Carmel is an Atapco Properties and J.C. Hart Company joint venture. 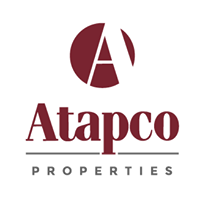 Atapco Properties, a privately held full-service commercial and residential real estate development company, has been in the real estate business for over five decades and currently owns and operates industrial, retail, office, residential and mixed-use properties in Pennsylvania, Indiana, Maryland, Virginia, and North Carolina. Our portfolio averages upwards of two million square feet of existing building space and over 625 acres of land for future development.